Employment is an essential part of any person looking to care for themselves and their family, military personnel included. The United States makes it possible for those serving in the military to keep a job even if called to duty. 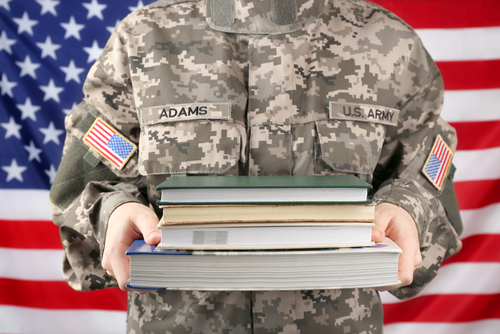 The Uniformed Services Employment and Reemployment Rights Act of 1994 makes it so those who serve their country can retain their civilian employment and benefits, and can seek employment free from discrimination because of their service. The Uniformed Services Employment and Reemployment Rights Act virtually covers every individual in the country who serves in or has served in the uniformed services and applies to employers in public, private and federal sectors. That is why one New Jersey school teacher is seeking legal action after being fired after enlisting in the U.S. Army. 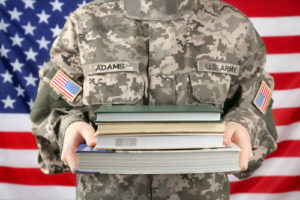 The man, a physical education and health teacher, would have been eligible for tenure in the 2017-18 school year and had notified the district in January that he would be serving in the Army from the middle of April to August — meaning he would be back in time for the start of the 2017-18 school year. According to the lawsuit, while the teacher “received exemplary reviews” throughout his time with the district, right before he left the Principal of the school became critical of his performance. He claimed the teacher had not prepared lesson plans for his replacement or even met with his replacement. The New Jersey teacher has evidence contradicting this claim. Right before leaving for active duty — on the last day before his leave of absence — the principal and the superintendent both said it would be good for the teacher to seek another job. At the principal’s advice, the teacher sent a letter explaining why his contract should be renewed, citing his extracurricular work with the drama department and as a Student Leadership Advisor. Then, while the teacher was on active duty he received a letter stating that his contract would not be renewed. A hearing was requested by the teacher and since he could not attend his wife, father-in-law, and a recruiter for the Army National Guard were present. They informed the board that terminating his employment would be illegal. The matter is a difficult one, as is the case with many employment law cases. This is because they are often difficult to prove, especially since employers are not likely to admit that they engaged in workplace discrimination or other illegal employment practices. That is why you should hire an experienced employment law attorney from Rudnick, Addonizio, Pappa & Casazza PC. Our experienced New Jersey attorneys have more than 80 years of combined experience and can provide the skilled and vigorous representation you require. Call 732-264-4400 or fill out our online contact form to set up a consultation today.